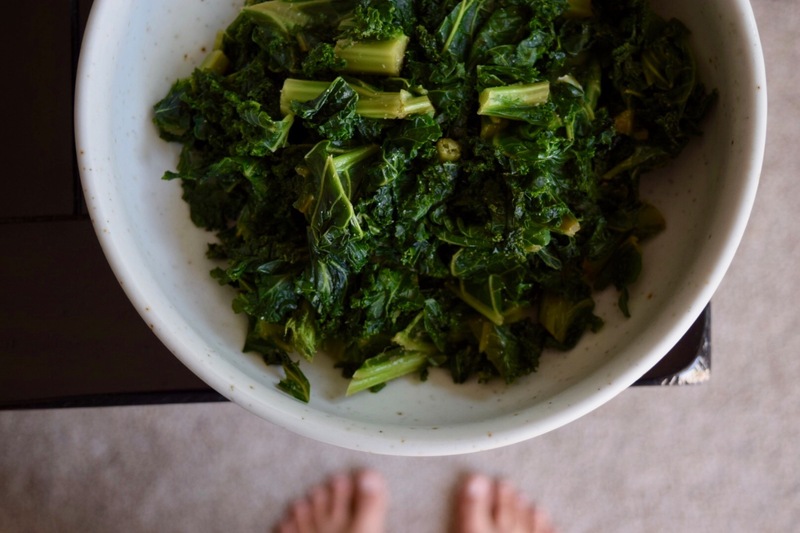 Wash, de-stem, and chop kale into bite size pieces (or buy pre chopped kale). In a large heavy pan bring ½ cup water to a boil. Add kale and reduce heat to medium-low and cook for 3-5 minutes stirring occasionally until kale is softened and water has mostly evaporated. Add liquid aminos and garlic powder and stir to combine. When kale is soft and slightly wilted, remove from heat and serve. This tastes great over brown rice or potatoes. Yes, it adds a good flavor!